Thinking about ways to make your hotel more visible to search engines than your competitors? Need advice on how to attract more guests from Google searches? 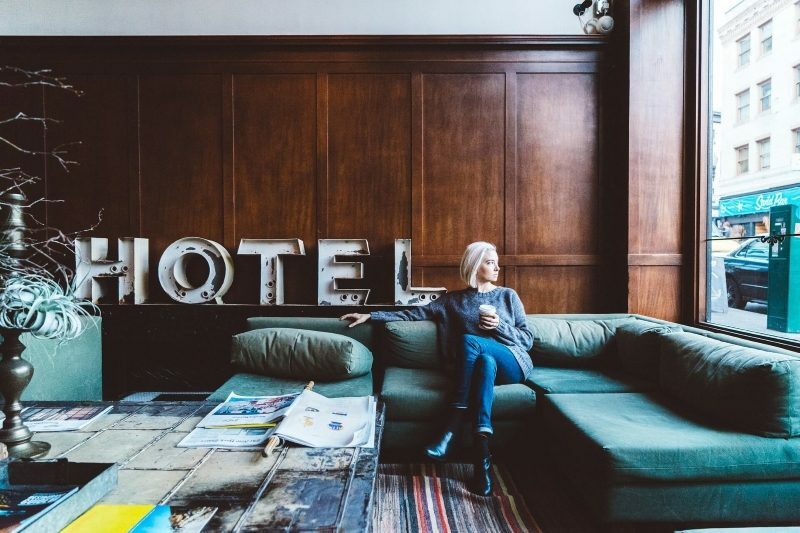 Wondering why your hotel should invest in SEO marketing? 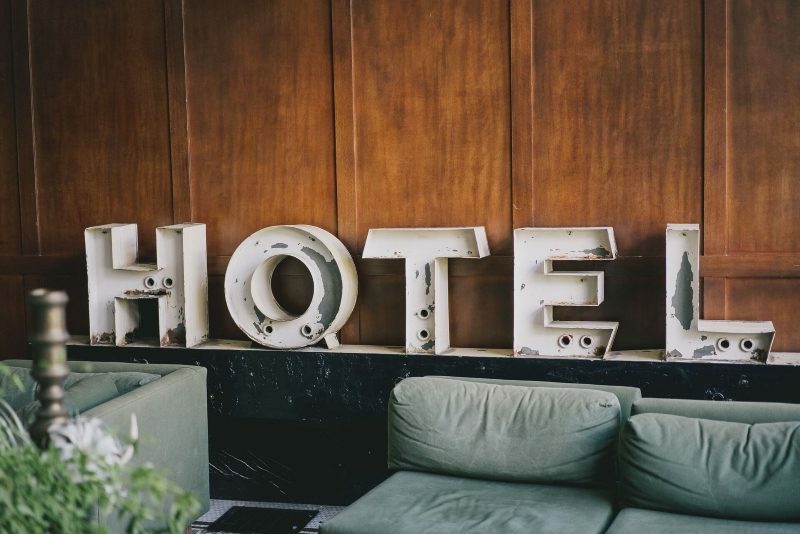 Marketing for a hotel is a tricky business, especially when it comes to building effective hotel SEO strategies because SEO evolves and changes all the time. Besides, there are a lot of factors that are included into search engine algorithms such as quantity and quality of links to the website, content relevance, readability, and uniqueness, keyword usage, social media metrics etc. Keep reading to learn more about improving your hotel website’s SEO. We have gathered here useful SEO hotel website tips, ideas, and best practices to help you learn more about hotel search engine marketing. Search engine optimization refers to processes by which websites are improved to rank higher in relevant searches. It means making certain changes in your hotel website design and content to optimize it in order to make it attractive to search engines and to get more organic or unpaid traffic from SERPs. There are a lot of different factors that can impact your website ranking and hotel SEO can be very complex but the basic process is easy to understand. Search engines have crawlers that go out and gather information about the content they can find on the internet. Search engines use this information to build an index. The index is analyzed through algorithms that try to match all that data with a searcher’s query. Search engines want to provide users with high-quality results that are relevant to what searchers are looking for. So when optimizing your hotel website, you have to use different tactics to make it more likely to show up when internet users search for keywords related to it. Search engine algorithms are very complex, they change all the time and remain a secret but you can take specific actions that are known to work well. On-page SEO techniques – optimizing the HTML code, architecture, and content of your website. Off-page SEO techniques – link building, social media marketing, mentions of your brand across the web etc. The hospitality industry is extremely competitive. To get more deals, every hotel must ensure that their website is properly set up to be visible on SERPs (search engine results pages) because 75% of travelers search the internet to find a hotel and make their reservations. According to statistics, websites that are listed on the first Google search results page get 92% of all traffic. And if your hotel doesn’t appear on the first search results page, chances that it can be found by your potential clients are less than 6%. As you see, being on the top of search engine ranks is crucial for the success of your hotel business. That’s why you need SEO for hotel website to ensure that travelers can reach it when they are searching for accommodation options for the next trip. Now you know what SEO for hotel is and why it is important. Are you ready to start improving your site and attracting more guests? Read on to learn about how you can do it right. All SEO strategies are focused on ranking as high as possible in search engines. So you should try to design and build a hotel website that the secret algorithms of Google and other engines will love. Wondering what it means? Let us explain. Many people think that SEO for hotel business is equal to keywords and no more. But it is not true. With Google’s new algorithm, Hummingbird, you can’t get a higher ranking on SERP just by stuffing hotel keywords for SEO through webpages on your site. To ensure a successful SEO campaign for your hotel website, you need to ensure that the perfect keywords are integrated into great content. If you are unsure how to get started, a good idea is to hire Extrabrains SEO specialists who can help you implement a successful strategy for your outstanding SEO campaign. You need to ensure that your site was built with usability in mind. You should have outstanding and relevant content. You need to make your hotel website a trusted authority to your visitors. Now let’s discuss these 3 keys to success in detail. The foundation of your SEO strategy is building a user-friendly architecture of your website to ensure that your visitors get what they want. Before you start creating amazing content and make an attempt to link build, you need to focus on the following things. Site speed. Visitors are unlikely to stay on your hotel site if it is slow. Moreover, Google will rank your website, taking into account how fast it loads. Take measure to ensure that your website loads quickly on different mobile devices because mobile-friendly websites have higher rankings. Server errors can include 500 and 404 errors. They make your website’s visitors angry and chances are they will never return. That’s why you have to ensure that there are no server errors on your website. File naming. Name the files on your website correctly and make sure they are located in the correct places. Don’t leave photos on your website with their default name. Instead, make changes and include the name of your hotel. Make sure that the content on your site gives visitors the useful information they need so that they can get on with booking your hotel. Content marketing is an effective tactic to improve your hotel SEO because great content will help you attract search engines and make connections with your hotel website’s visitors. A good idea is to keep a hotel blog. Here are some tips to help you get started. Keep in mind that longer blog posts typically perform better. Write articles for people and not for search engines. Create blog posts or informative articles that can attract internet users who are searching for trustworthy information or are trying to find something online. Choose topics that are most relevant to your target audience and make sure that your articles are interesting. Make sure you keep your content up to date. You’d better target long-tail keywords that searchers are more likely to use when they are closer to making a purchase decision. In this way, you will get a more qualified traffic and get more bookings. Don’t stuff keywords and focus on 2 or 3 major keywords that are relevant to your topic. Use important keywords in headings and subheadings. Optimize your titles and descriptions – include keywords you are targeting and your brand’s name. If you use images, include keywords in the image name and attach ALT tags. Include internal links to other content on your site. It’s crucial to follow the best SEO practices and create great content that is easy to read and navigate and that your hotel website’s visitors will find valuable. Relevant and interesting content is more likely to get more links and shares on social media. Take time to build relationships on the internet. You can do it by building quality links to your hotel website. Wondering why you need them? Google considers backlinks to your site as signs of value and trust and it’s the best way to get your clients to trust your word and your brand as well. There are different ways to generate quality backlinks such as creating viral content, guest posting, manual outreach etc. Social media networks such as Google+, Facebook, LinkedIn, and Twitter are also important for the success of your hotel. Each of them has a different type of customers. Quality likes and shares from influencers can boost your hotel search engine marketing to new heights. SEO takes time to work its magic and you’ll be able to see the results of your hard work only in several months. You should follow the best practices and create high-quality content that can help your website’s visitors solve their real-life problems. But what if you need immediate results from your marketing efforts? Use search engine marketing campaigns that can land your hotel business on the first page of Google in a few hours if you pay for it. Most hotel websites are built with useful features such as booking engines, photo galleries, and city guides. But even if your hotel offers high-quality services, it’s not easy to get your website to be noticed by Google and your potential clients. Want to drive more bookings at a lower cost? You can do it if you increase the amount of traffic to your hotel website. That’s why it is important to have a comprehensive hotel search engine marketing strategy that combines both organic and paid search initiatives. Although SEO and PPC use relevant keywords to drive targeted traffic from potential leads, they are different SEM strategies. Keep in mind that SEO and PPC campaigns impact each other. Ads and sponsored links that appear in Google results can make certain keywords rank higher and vice versa so changes in one approach can affect the other one. Why use PPC? Paid search can help you gain visibility and present your hotel at the exact time when consumers may be searching for your services. PPC can be highly profitable if you approach it right. Consider the power of running a PPC campaign to deliver the right message to online travelers at the right time. You will reach your target audience, present your brand, and tell the travelers about your offer at the exact time when they are searching for hotel services like yours. PPC campaigns are cost-effective and you can measure your ROI using specific metrics in real time. PPC campaigns are flexible. You can measure your campaign’s performance and make adjustments (changing the content of your ads, adding new keywords, refining your target audience etc.) to improve your ads and your conversion rate. Here are some tips for SEM for hotels. Target long-tail keywords that are less competitive and convert 2.5 times better than generic search terms. When running a PPC campaign, don’t forget about mobile ads. Use location-based Hotel Ads to eliminate unwanted spending and make your ads more relevant to internet users. Use Google Trends that can help you predict searching habits of your potential clients around local events and attractions. Organic search is quickly and constantly evolving so SEO is a never-ending process. But Google and other search engines roll out new search features and change their algorithms at high speed so it can be challenging for you to plan your hotel SEO strategy. Extrabrains can help you stand out from the crowd and run successful online marketing campaigns. Our specialists can help make changes to your hotel website to enhance your SEO and boost your rankings on the SERP. Experts from our hotel SEO agency have a vast experience in developing effective marketing strategies that can result in greater visibility and improved conversions on your site. We offer search engine optimization services that cover every aspect of hospitality marketing and are tailored to each client’s individual needs. We can help you attract more guests and boost your booking rates. If you are not happy with your ranking on search engines, contact us to learn how we can help you build an effective online presence and drive more traffic to your hotel website.